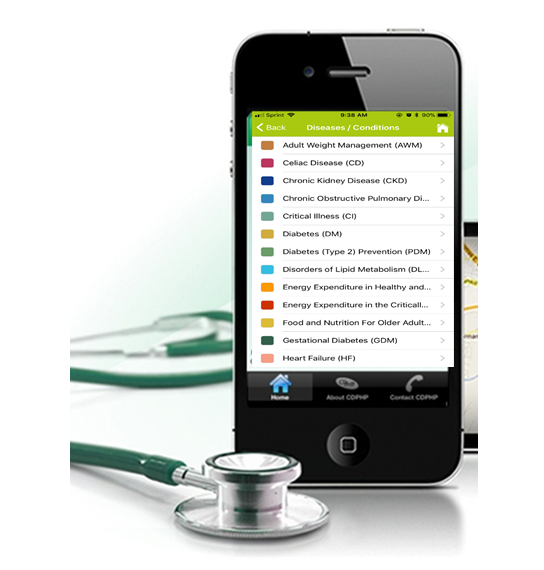 The ideal app for the healthcare professional. Over 400 nutrition recommendations available at your fingertips! These recommendations provide evidence-based guidance for nutrition care in the treatment of various diseases and conditions. 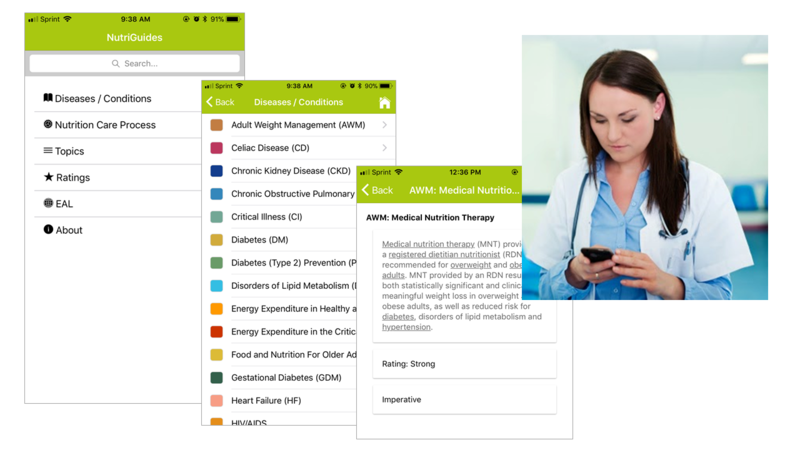 Find recommendations by Disease/Condition, Topic, or Nutrition Care Process step. Search feature for easy retrieval. Rating identifies strength of supporting research. Addresses Diabetes Type 1 and 2, Critical Illness, Chronic Kidney Disease and more! Topics include energy needs, antioxidants, fiber, vitamins, minerals and more!